My Computer has a new Dust Cover! A Perception Park Bag. I love it, thank you C.! She is one of my most peculiar friends and I love her for that. Every gathering is a surprise. We went to the Nose Ball together, she paid a room in a hotel, we worked and had a drink but either of us spent the night there, we went shopping for some fabrics... If I want an unexpected afternoon, I know she's the one I should call. the new wave, the next contemporary scene. 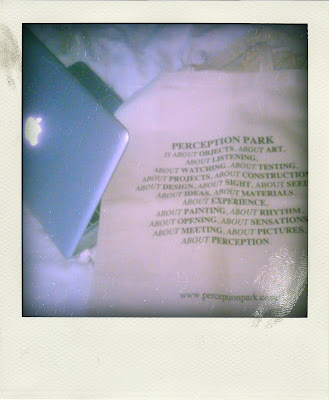 Follow the link to discover more about Perception Park.